The Goodyear Blimps have been around since 1925, when The Pilgrim was launched with 60 hp worth of air-cooled radial power. 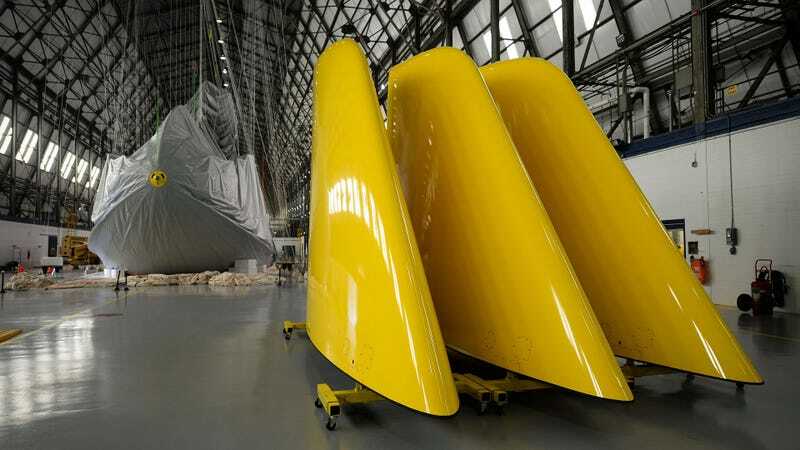 Today, the company is preparing the newest generation of their Zeppelins developed by Zee Germans. ZLT Zeppelin Luftschifftechnik's design offers better maneuverability and greater speed. Not like the old ones had problems in this department, because if you've seen The Junkman, you know that a Goodyear Blimp can almost land on Sunset Boulevard. Built at Goodyear’s hangar in nearby Suffield, the new fleet will use an aluminum and carbon fiber frame wrapped in a polyester envelope supplied by DuPont. 297,527 cubic feet of helium will take them to the clouds. Excited to see the new ones in the sky?